This graceful deciduous broadleaf tree lives for up to 80 or exceptionally 100 years, growing to a height of 30 metres (although usually it attains little more than half that size). 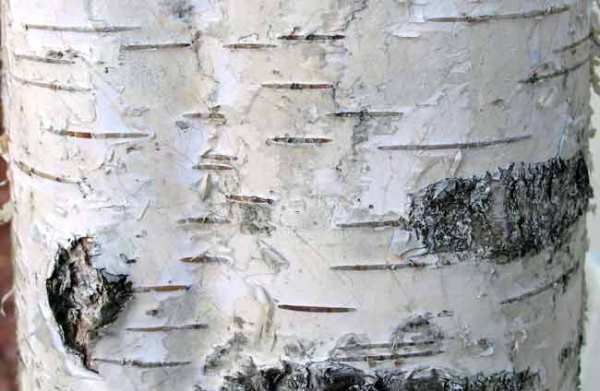 Birches were pioneers in the march northwards of trees following the retreat of the polar ice cap at the end of the last Ice Age, about 8000 years ago. 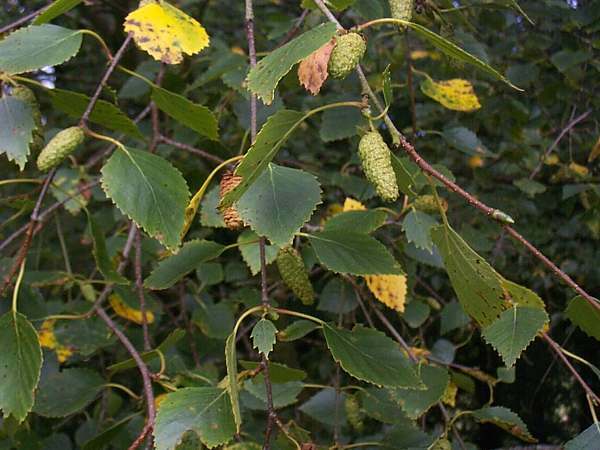 Within the birch family, Betulaceae, Silver Birch is the most common species in Britain. 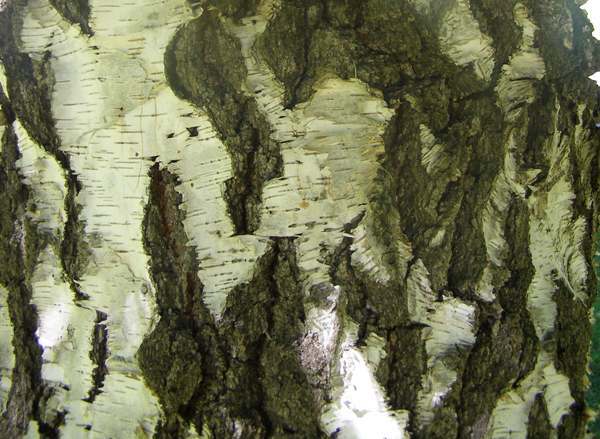 Unless damaged early in life, a Silver Birch has a single trunk with attractive pendulous branches. The bark of immature trees is silvery-white, but in time the tree develops distinctive diamond-shaped black protrusions on the lower trunk. In April male and female catkins occur on the same tree, and the leaves turn yellow from late summer into autumn. 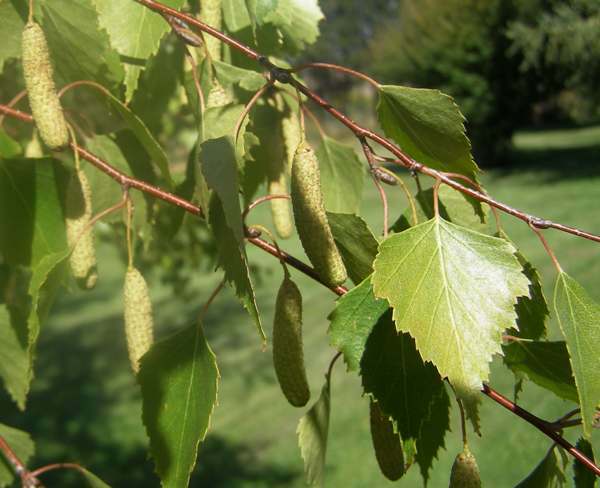 Many of the birch trees that we see in the countryside in Britain and Ireland are not true Silver Birches but hybrids between Betula pendula and the Downy Birch Betula pubescens. Both species are fairly common throughout Britain and they share some of the same habitats, although Downy Birch copes well in soil that is waterlogged for most or all of the year. While the branches of Silver Birch are pendant, those of the Downy Birch are more erect; other distinguishing features are the orange-tinge to the bark of a Downy Birch; and the fact that the leaves of Silver Birch are quite coarsely toothed at the margin while those of Downy Birch are more finely serrated. 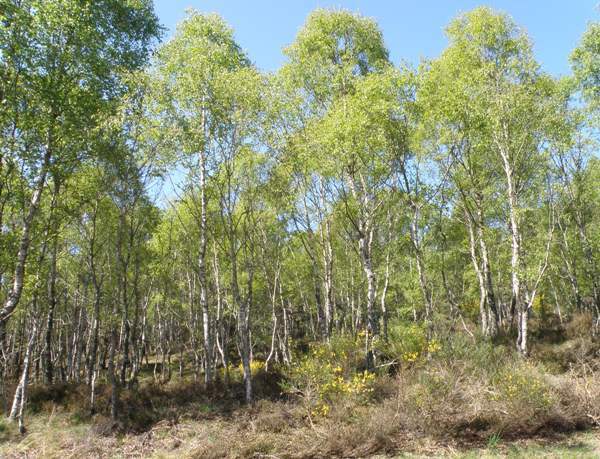 Birch trees are good colonisers and soon move in when other trees are felled or where damp land is cleared of scrub, but in all but the wettest of locations all kinds of birches spell good news for those of us who have an interedst in fungi, for these fast-growing, short-lived trees have a host of fungal associates. Many fungi are mycorrhizal with birches; a few are parasitic on birch roots, trunks or branches; and many more move in to consume the dead timber once a birch has died or been felled by wind or Man. Birches are ectomycorrhizal and provide homes for many large and colourful fungi, including several from the genera Amanita, Cortinarius, Lactarius, Leccinum and Russula. The Fly Agaric, Amanita muscaria (left), is found more often with birch than with any other tree species, as also is Leccinum scabrum, which has the common name of Brown Birch Bolete. But there is one spectacular bracket fungus that is rarely seen anywhere other than on birch trees, and that is the Razorstrop Fungus or Birch Polypore, Piptoporus betulinus. This large wood-rotting fungus may even be weakly parasitic on ailing birches, but certainly as soon as a birch tree dies these brackets are likely to appear, causing rapid decay of the trunk and any branches that remain attached.